I have been asked many times about what automobiles I like best. 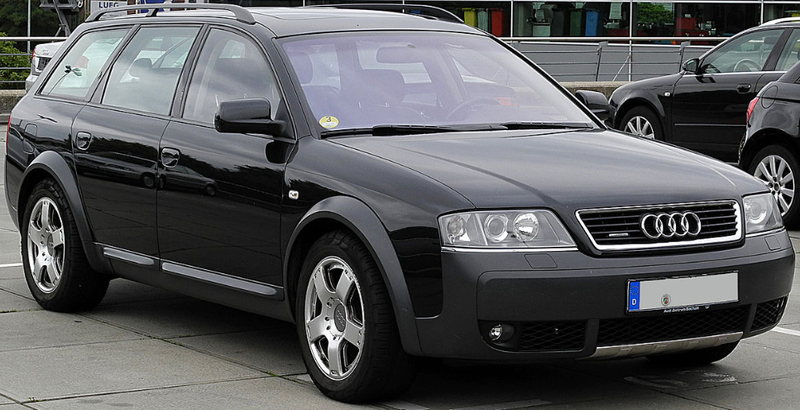 Well, let’s start with the C5 Audi Allroad. Made from 1999-2005, the C5 Audi Allroad is a rugged country wagon that’s perfect for the northeast. It’s faster, sexier and bigger than the Subaru Outback and WAY more fun! Over the years we at Autobahn have worked on countless Audi Allroads, and yes, even the new ones. But don’t get confused because I’m specifically spotlighting the original Allroad here, the real deal. Not the toned-down replacement that Audi introduced, which for starters we all know is based on the A4 wagon. Don’t get me wrong, it too has its positive attributes, and if you need a new wagon, it’s the only one that comes with the Audi rings on it right now. But the C5 was a real premium vehicle and, at the time, the flagship model with ALL the bells and whistles: 4 position adjustable air suspension to help you stay above that grassy center hump on your lake cottage driveway, or to stay well clear of the 9 inches of fresh powder on your way to the slopes. At cruising speed, the air suspension automatically drops to the lower setting to maintain a lower profile and counter any unwanted negative aerodynamics and help with fuel mileage. Yes the air suspension system did have its quirks, and did also wear out over time. So we highly recommend keeping the air system, as it really is integral to the cushy ride you’re offered. When airspring failure does occur, we offer only the ultra reliable improved parts from Arnott Industries – the leader in aftermarket air suspension components. In the past we have used both the Gen 1 airsprings they offer and also the Gen 2 heavier duty version. But our first choice is still the more economical Gen 1 that’s backed by a limited lifetime part replacement warranty – you can’t beat that! Originally, one of the tougher choices with these cars was tires – most commonly the 225/55-17 was only available in a unique Pirelli branded Allroad tire and they were pricy. Now, many many options are available including grippy snow tires in great brand names. The 2.7 turbo power plant in the early APB version and the later BEL version were both much more reliable than they were given credit for. Common oil leaks from the cam chain tensioner gaskets and valve cover gaskets made for a pesky smokey smell in the cabin, usually when you’re stopped at a traffic light or after a longer drive. The turbos themselves are known for having some issues, but we feel that they’ve probably been misdiagnosed because of a crankcase ventilation issue. The fact is to date we’ve never had to change turbos on a 2.7 for anything other than upgrade purposes. To touch on the crankcase issue: the PCV (positive crankcase ventilation) system on these cars, like many European cars, is very complex because it has to deal with vacuum and pressurization of the system, and as a result it is definitely prone to failure. In the New England winter we have seem these systems freeze which can turn them into a vacuum that begins sucking oil from the crankcase into the intake and then sends billowing white smoke out the tailpipe. We are pretty certain that this smoke has been the cause of an expensive misdiagnosis, and as a result has cost these turbos their reputation. One of the weak points in these cars is the higher mileage dreaded torque converter failure on automatic models. The trans is a ZF 5HP24 and is generally smooth and good. However, at somewhere between 75,000 and 125,000 miles usually, we see the MIL come on for p0741 Torque Converter clutch lock up failure. We recommend fully rebuilding the transmission then, especially on higher mileage autos, because the labor costs to remove and replace with new units is considerable. We deal exclusively with a ZF authorized specialist and have had no issues on any rebuilt transmission to date. To the true driving enthusiast, the holy grail of the Allroad is the sought after 6-speed manual – a true unicorn. Unfortunately, there are fewer and fewer available as the years go by. Over their lives, these Allroads do require specialized care. But we have grown to know them very well and we at Autobahn love to perform the small and big services on these fantastic cars. So please call us for any advice and service.